Bow wow. SIlk Bandeau Twilly Scarf by Louis Vuitton. Red collar contrast blouse by Tory Burch. Buggin' Out. 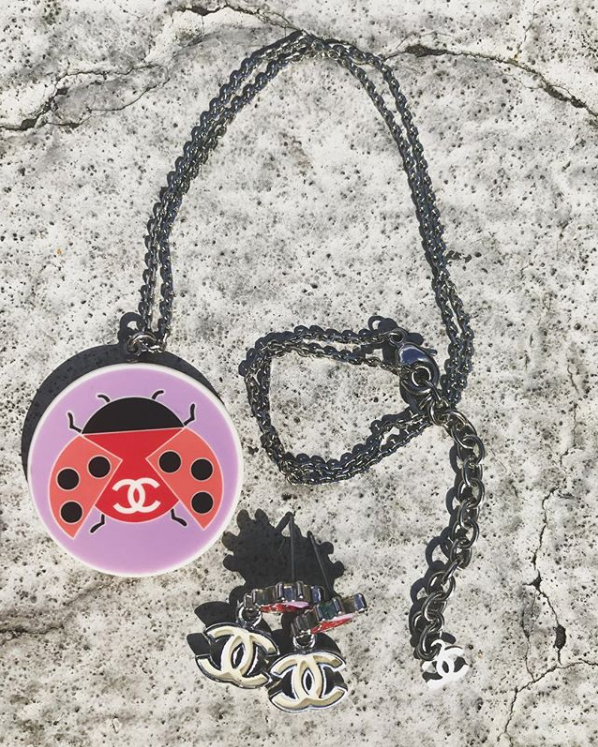 Insect jewelry circa 2004, all from Chanel. Nailed it. 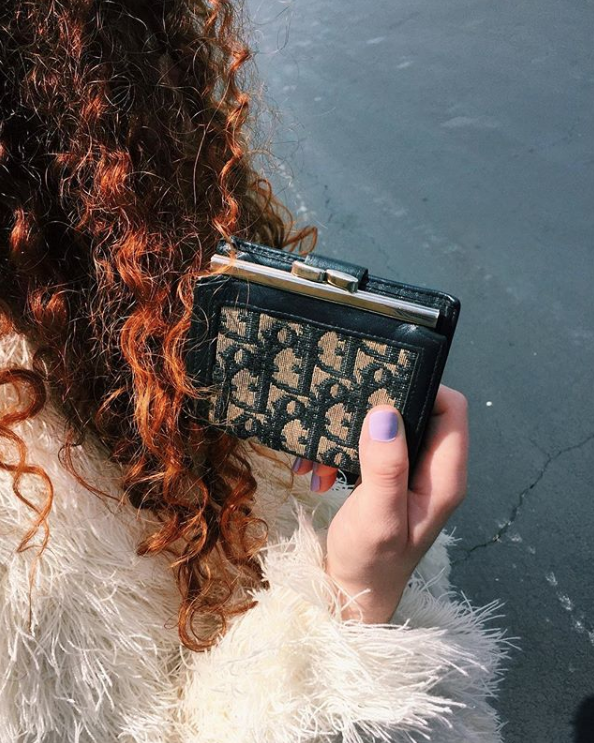 Vintage monogrammed navy wallet from Christian Dior. Acrylic shag coat, vintage (Made in France). 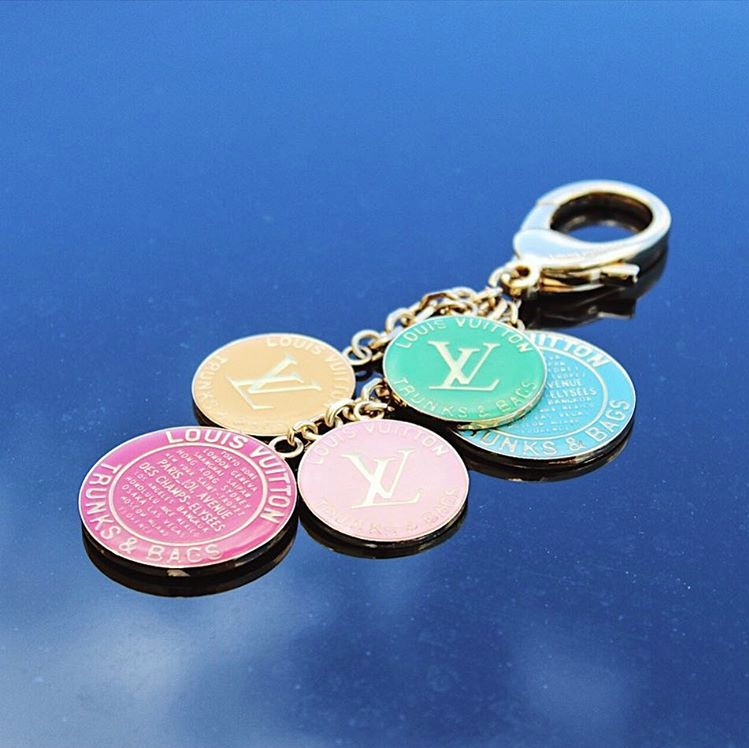 If you prefer this over eggs... Globe Trunks & Bags charm by Louis Vuitton. Tomorrow is Easter! Happy almost Easter!! ❤️ But today is Eggstravaganza! *We will be closed at both locations on Easter Sunday.